But it’s high time to take the turtleneck back. And we’ve got Meghan Markle as our fearless leader, out there making the Olsen twins (who happened to show a turt-heavy collection at their NYFW show earlier this week) proud. 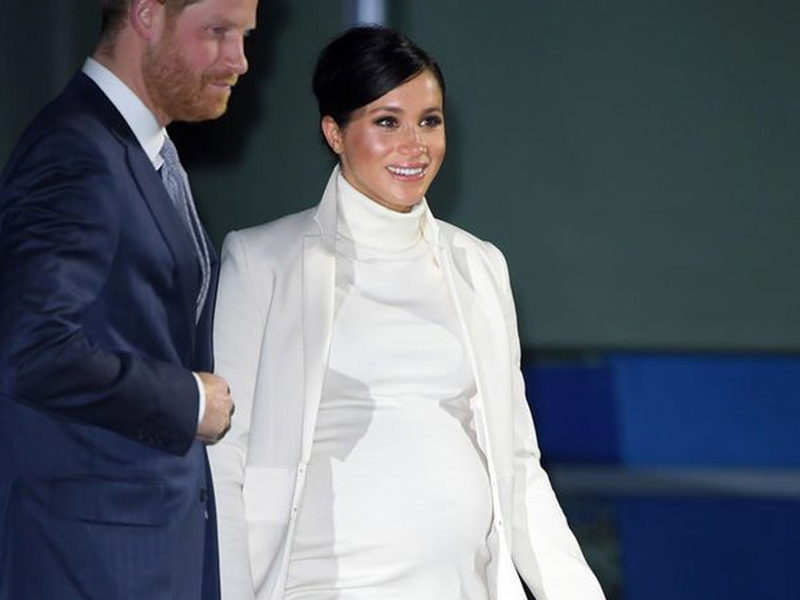 The Duchess of Sussex stepped out on a chilly Tuesday evening in London clad in a cream-colored, clingy turtleneck dress by Calvin Klein which showed off her prominent pregnancy. Keeping with her dress-plus-coat maternitywear uniform, Markle topped the dress with some Amanda Wakely outerwear. To add a pop of color to her otherwise monochromatic ensemble, she added a pair of forest green suede heels which she carefully matched to her green clutch. Prince Harry was around too, of course (though regrettably not wearing a turtleneck), as the pair stepped out for an evening at the Natural History Museum to take in a performance of The Wider Earth, a play about a young Charles Darwin. During her adventure, the turt-wearing Meghan met a giant turtle puppet, and I promise I did not make that up. The occasion benefited two of Her Majesty’s philanthropies: The Queen’s Canopy, which aids forest conservation, and the Queen’s Commonwealth Trust, which aids young leaders. It looks like we’ve still got a few days of winter left, so please, Meghan, continue your turtleneck streak for us. Carry on. This article was written by Sam Reed from InStyle and was legally licensed through the NewsCred publisher network. Please direct all licensing questions to legal@newscred.com.